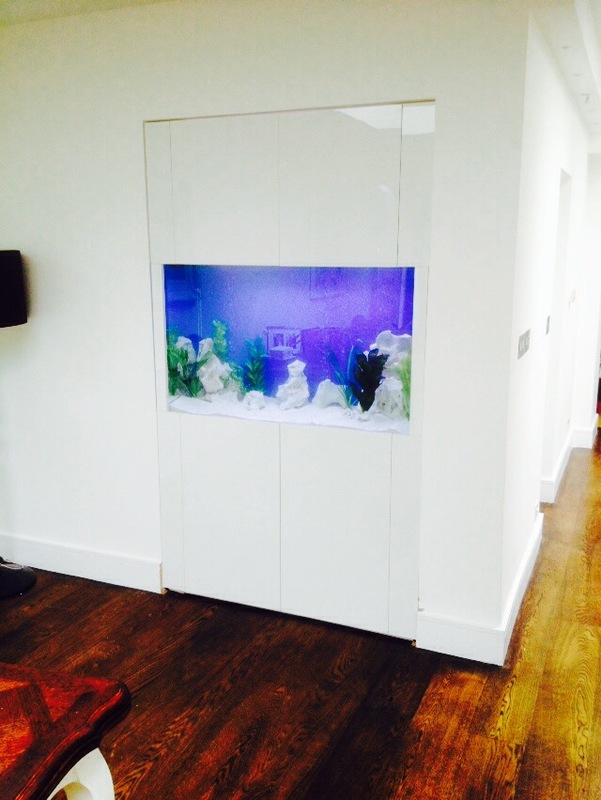 This home aquarium in South East London was designed to fit snugly in an alcove in our client’s living room. The aquarium has external filters below and led lighting above. The aquarium was fitted with high specification filters for a low maintenance regime.